The general idea seemed to be that a dull, predictable company would be a good, successful company. However, once in a while there was disruptive change, like a recession. In such unsettled times, many of the dull but successful companies disappeared. That was to be expected according to “case studies” that looked at these failures after-the-fact. The reasons given for failure generally boiled down to “the rules of good management were not followed”. But there were outliers or rebels – very successful companies where the “rules of good management” were not followed at all, at least for significant periods in their lifetimes. Two such companies, separated in time by almost a century, are RCA and Apple. What made them so successful in the face of disruptive environments? 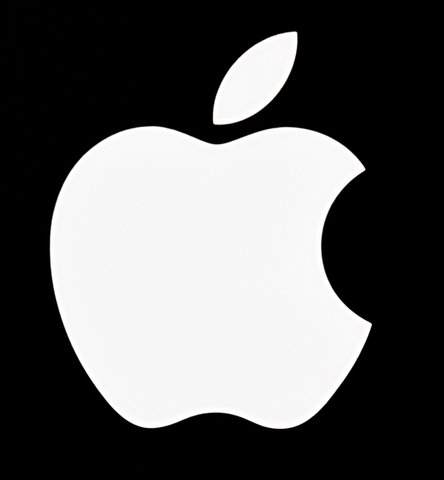 Let’s start with today’s company first: Apple. A recent article claims that Apple’s amazing success in our recessionary times is due to putting their customers first instead of profit (“Jobs made Apple great by ignoring profit” by C. Christensen and J. Allworth, Reuters, Aug 29, 2011). Well, it’s not that simple. It seems to us that Steve Jobs, with his visionary leadership, unconventional management approach, and strong personality is the fundamental reason. How did Steve Jobs lead/drive Apple to create not just revolutionary new products but entire new markets during times of economic chaos? It was NOT by blindly relying on marketing research. Instead, Jobs blazed a new trail of disruptive products and radical marketing approaches based on his convictions about customers’ unmet DESIRES, not needs. From these convictions, he developed his own innovative product/platform ideas and then drove Apple mercilessly to commercialize them. He did this by dictating to the engineers what to invent and, at times, even how to engineer the products. Jobs made all of the key decisions and was blunt and painfully direct in communicating them to his employees. Yes, he was a dictator and he wasn’t always right, yet most of his people respected, “loved”, and followed him. Steve Jobs ignored many of the “sacred” practices of “good” business management and yet Apple has prospered far beyond expectations in our difficult economic times. Next we turn back the clock to the first half of the 20th century and focus on RCA (Radio Corporation of America), the then great (but now defunct) electronic company. In its time, RCA was a large and vibrant manufacturing company whose world-class laboratories invented many disruptive new technologies. And the company used these radical innovations to reach great heights of success. With its revolutionary radio and television products, RCA created an entire new industry – consumer electronics. Innovation clearly was the driving force and the key to success. However we are not talking about unbridled innovation. As in the case of Apple, RCA also had a powerful and visionary leader – David Sarnoff. It was the clearly articulated “visions” of Sarnoff that started RCA on its quest to create the future. Sarnoff passionately believed in the revolutionary potential of three not-yet-invented products for markets that didn’t exist at the time: commercial radio, black-and-white television, and color television. There was essentially no market research to support these product concepts, and the technologies needed did not exist. But that didn’t faze Sarnoff. He told his laboratories directly what specific product was to be invented. He did not specify how to design it, but he did dictate exactly what the final product had to do for the customer. None of these directives were questioned by the organization. After all, times were different then; and Sarnoff was the President. To say it another way, in the early days of RCA, David Sarnoff made most key decisions with only minimal input from his organization or management team. He alone decided the direction of the company and which programs would be funded. This visionary leadership approach led to great successes for a while – when RCA was the primary developer of the disruptive technologies and when management missteps and program inefficiencies were not important because there was no meaningful competition. For RCA, the future is today and RCA is no more. What happened? Well, David Sarnoff did have a vision for another disruptive product – the video recorder. And he communicated this vision to his company just before he retired. But then, new leadership that “followed the rules” took over, and RCA became a different and more traditional company. Many management “mistakes” were made (no clear direction, unwise financial investments, poor technology choices, etc.) leading to disaster and eventual death of the company. In the words of A.D. Chandler Jr.: “If RCA had resisted the lure of the computer and avoided the curse of the conglomerate, if it had continued to concentrate, as did its Japanese competitors, on the consumer electronics market, the one that it knew best, then it might have remained the industry’s path definer.” (“Inventing the Electronic Century”, 2001, p 49). And what about Apple, where the future is tomorrow? Did Steve Jobs communicate a new disruptive product vision to his company before stepping down? Will his successor, Tim Cook, be able to preserve the culture and “technology user” focus created by Jobs? Will Cook be more of a traditional CEO or a charismatic leader? Will Apple become a more “traditional” company or will it remain a rebel and industry leader? Can Apple continue on its amazing growth track? Through hindsight and history, we answered the question about what happened to RCA. But there are no sure answers to our questions about Apple. However, the sagas of these two “rebel” companies provide some important insights. What is the key to the extreme success of a rebel company in disruptive times? It is NOT corporate structure or the experience of the management team or the strict discipline of the employees. Instead, it is the creativity, visionary leadership, and powerful personality of a few key individuals. These are individuals that are not bound by tradition and thus are able to rapidly adapt to a changing environment. They have passionate beliefs, are focused on their goals, and take pride of being the best in their industry or maybe even the best in the world. And they are dedicated to their company and their organization. These individuals are what we call “Dynamic Business Leaders” and they are shaping our future. Recession Survival through Business Leadership Skinnygirl: A Power Brand or a Fad?